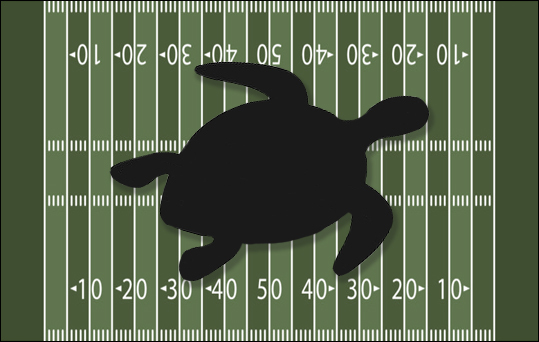 Turtles and Touchdowns, sponsored by the NMSU Gamma Xi chapter of the Delta Zeta sorority, will kick off Saturday, April 13, at 10 a.m. on the campus intramural fields. This philanthropic flag football game costs $25 per person to enter, and will field teams of eight. Proceeds will go to organizations assisting with speech and hearing impairments such as the Starkey Hearing Foundation. Delta Zeta members will be tabling Friday, April 12, in front of Corbett Center from 11 a.m. to 2 p.m. to answer questions about the event. NMSU Gamma Xi chapter president Isis Salgado said, “Events like these are fun and bring us closer together while making an impact on the community.” She also said Delta Zeta members are working nationwide to raise $5 million in pledges over five years. The funds will go toward the Starkey Hearing Foundation. They have raised $3.1 million so far. Salgado said a new total will be available at the end of the semester. More information about Delta Zeta’s partnership with the Starkey Hearing Foundation is available online. Also, the NMSU sorority recruitment page and the Gamma Xi chapter of Delta Zeta Instagram page provide information on how NMSU students can join Delta Zeta.